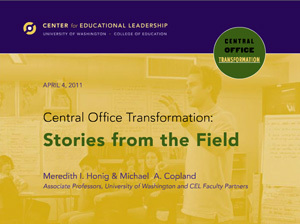 On April 4, 2011, CEL hosted a webinar focused on Central Office Transformation. The session featured the work of CEL-affiliated faculty, Dr. Meredith Honig and Dr. Michael Copland, co-authors of the recent Wallace Foundation-funded study, Central Office Transformation for District-wide Teaching and Learning Improvement. Build relationships with schools that are focused on student learning. 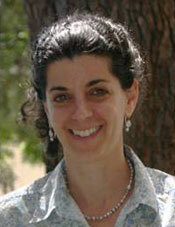 Ensure that all central office departments support student achievement. During this one-hour event participants will have the opportunity to learn more about research-based approaches for transforming central offices and begin developing an action plan for the school year.